"You can't sit around and wait for the storm to be over. You've got to learn how to dance in the rain." other times we assume that we need that one drastic change to be happy and content… but actually we don’t. We insist on making it complicated but actually life is really simple we just have to live by the present and enjoy the now. So there… I just had the sudden urge to share and write that down. 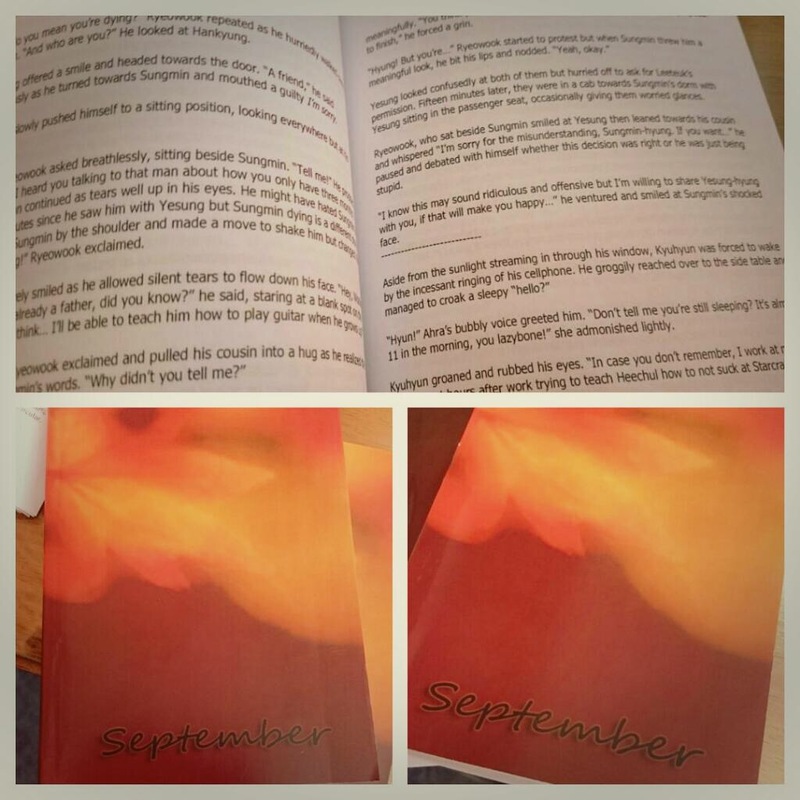 All the inspirations are form the story – SEPTEMBER. It’s actually a FanFic…simple yet full of amazingly timeless Life lessons. A fluff and angsty fic rolled into one. Sometimes we all need a little push and few life reminders right? So this story is for all of us and I highly recommend! over all it’s well written. Hands down to the author of this fanfic.. She’s a lawyer and an awesome writer! Also, this fic has been heavily inspired by Marilyn Scott’s The Last Day. September is a month of change when summer slowly gives in to autumn and the leaves have to learn how to say goodbye to the tree that they have comfortably clung on to. It is a month that subtly speaks of new beginnings. People’s lives, after all, are not stagnant water that won’t move unless the container is shaken. However, this change does not necessarily have to be something drastic or something extraordinary. It could be as easy as sitting in your own living room, doing the most ordinary of routines and yet feeling something new about it. What defines each and every human being is not their ability to change to the world in a snap of a finger. It is their capacity to start change within themselves and appreciate life as it goes. After all, it really does not have to be the last day before we start living our lives, does it? My kids asked me a million questions. ‘Where is Daddy’ …In heaven? Watching cartoons and learning family values?